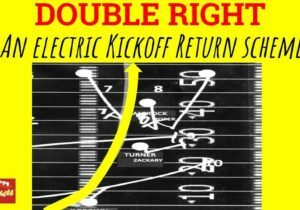 Read my Kickoff Return Team Checklist here. 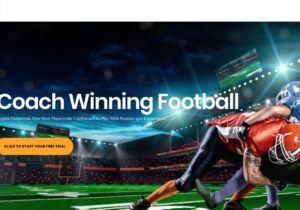 Read my Kickoff Team Checklist here. 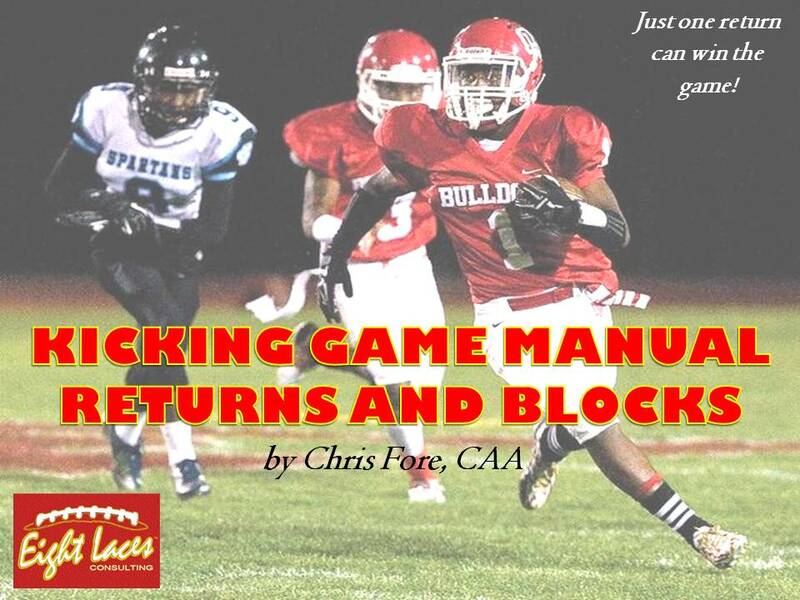 Read my article about neutralizing the Punt Team Gunners here. a If turf, tendency of ball bounce when it lands? 3 How can we best block their kick? a Are we going to be able to block it off edge or up middle? b What is the depth of their punter? 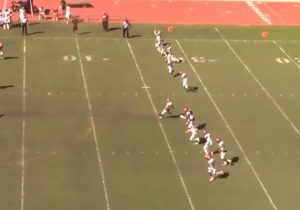 4 What punt formations do they have? 5 When do they snap the ball? 6 Where do they like to punt? Straight? Angle? a When on a hash, does angle of punt change? 7 Do they huddle on the field? 8 Average distance of punts? a How far back do we place our returners? a Best place to place our returner from middle, hashes? 10 What number is their regular kicker? 11 What number is their long snapper? a How strong are the snaps? b Does the longsnapper cover punts or block? 12 Who has the most punt team tackles? 13 Do they have linemen covering the punt, or faster kids? 14 What is the path of their contain guys? 15 Coverage lanes cross? Or come straight down? 16 What kind of fakes do they have? a Do they have a QB or backup QB as an upback, or punter? b Is punter a threat as a runner? Speed? 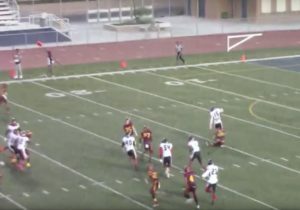 d Starting WR or RB on punt team for a fake? d Where on the field do they have a tendency to fake? e Any tendency to fake depending on the yards to sticks? 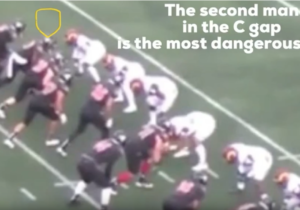 a How does wind change where our returner lines up? b How will the wind effect the snap? 4 Injuries to their punter, longsnapper? 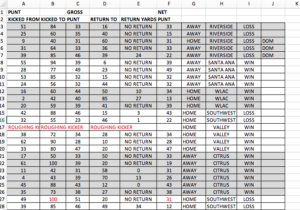 5 Field condition on hashes if we are returning that way?